What I'm Loving ... All New Kindle Fire HD 7"
What I'm Loving ... Gin-Gins! I have discovered the world of Gin-Gins! If you haven't heard of these before, which I hadn't, they are sweets or candy made with all natural ingredients and each have a percentage of fresh ginger in them. I bought the Hot Coffee flavour ones first then had to go back for more as soon as I tried one. They are made by a company called The Ginger People, who specialise is ginger products and are trying to promote the benefits of ginger. You can click on their website here. Ginger is so good for you and this is an easy way to include it in your diet. Some of the benefits they list on their website include; helping to burn fat, ease muscle pains, boosting immunity and as they come in handy sized boxes they are easy to take on holiday with you for those people who get travel sickness as ginger is a well known cure for nausea. If you are in the UK you can purchase your Gin-Gins at Holland and Barrett here or if you are international you can visit The Ginger People's website and locate a store near you, I have put the link above. 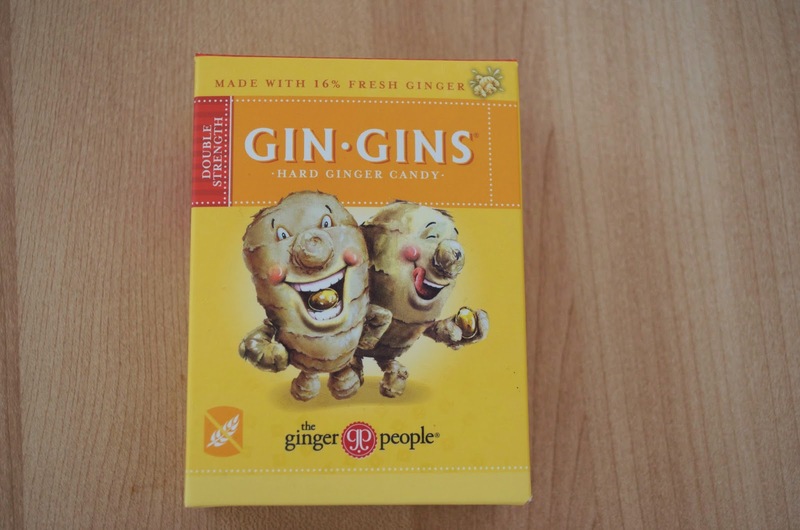 For those in the USA you can visit Abe's Market here and also explore the rest of the flavours The Ginger People offer. This post was not sponsored or funded by any company and all items were purchased by myself.